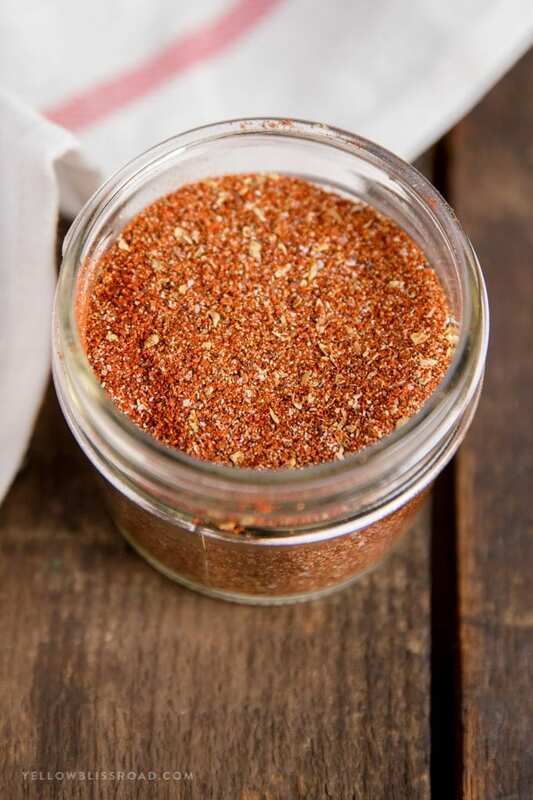 This homemade taco seasoning is super simple and easy. Whip up a batch and store it in your pantry for quick access when cooking tacos, burritos, nachos and more! We are a taco family. We could eat tacos for days and never get sick of them. Chicken tacos, beef tacos, shrimp tacos…we love them all. Having my homemade taco seasoning mix on hand makes for quick and easy to whip up a batch of Chicken Taco Salad, Taco Stuffed Bread or Slow Cooker Chicken Tacos any day of the week. 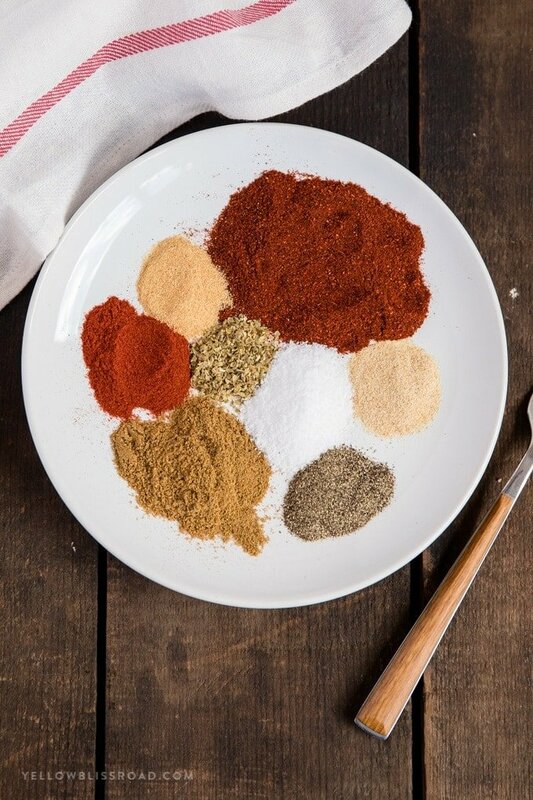 To make my taco seasoning mix, you’ll need a bunch of common spices from your pantry. See? 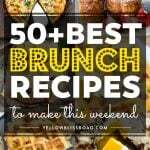 You probably have all of that in your pantry right now! Combine the spices and seasonings together and store the taco seasoning in an air-tight container. 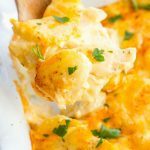 Tupperware is great for this, or a mason jar (aff link) with a nice tight lid. Then when your recipe calls for taco seasoning, you’ll have it ready to go in your pantry! Prepackaged taco seasoning mix has starches and “natural flavors” added, so making it from scratch you have the benefit of knowing exactly what’s in it and the flavors of the natural spices shine through. 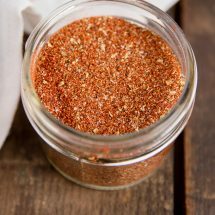 There are about 2 tablespoons in a pack of taco seasoning mix, so when a recipe calls for it, you can just add two tablespoons of the homemade taco seasoning. You can also add more or less depending on the flavor you’re looking for. 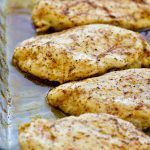 Rub it on some chicken breasts and following the directions for my baked chicken or stovetop chicken. Use it in soups, or mix it in with some ground beef for Taco Tuesday. 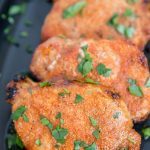 My favorite way to use this taco seasoning is for making my Easy Chicken Tacos, which uses my stovetop method for cooking chicken breasts, which you’ll be able to find here tomorrow, so be sure to tune back in! We use that same meat for my chicken taco salad and in quesadillas, nachos and tostadas. It’s perfection! 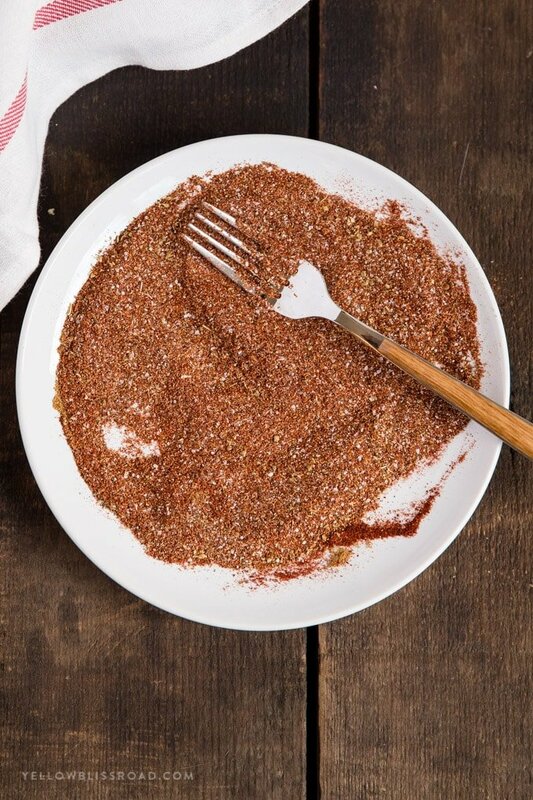 This Homemade Taco Seasoning recipe makes about 2 1/2 tablespoons, which is equal to one packet. 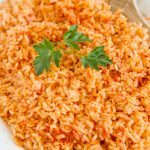 This recipe can easily be double, tripled or more and stored in an airtight container until ready to use. 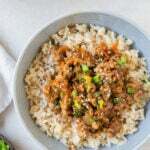 Combine ingredients together in a small bowl. Store in an air-tight container for up to 6 months. To use: This recipe equals about 1 packet of packaged taco seasoning, or 2 1/2 tablespoons. For ground beef or turkey: Cook 1 ½ pounds of meat with 1 small diced onion, 2 minced garlic cloves. Season with ½ teaspoon of salt and break up meat with a spatula as it browns. When the meat is no longer pink, drain grease from the pan; add taco seasoning and 1/2 cup of water. Stir to coat and bring to a simmer. Cover, reduce heat to low, and simmer for 15 minutes. Serve in tacos, burritos and salads. 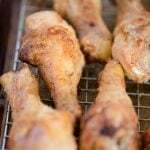 For chicken: rub all over chicken breasts and bake in a 400 degree oven for 20 minutes, or a slow cooker on high for 4 hours. Shred meat in the juices and use in tacos, burritos and salads. For pork: rub 2-3 tablespoons all over a medium-sized pork roast. 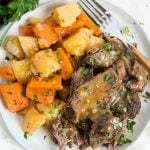 Place in the slow cooker and cook on low for 8-10 hours. Shred meat and use in tacos, burritos and salads.